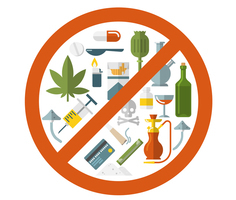 School Board Policy Change - Narcotics, Drugs, Intoxicants Etc. 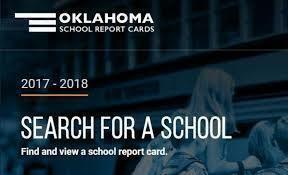 To search for any Oklahoma school's report card, you can click on Menu in the top right corner of our web page, followed by the Oklahoma School Report Card link. Field Day t-shirt money is due today. If you have not ordered for your child/children and intend to, please contact us! Thanks!! Rattan JH - GEAR UP is sponsoring our field trips to the Oklahoma Aquarium in Jenks this week!! 7th graders tomorrow, Monday, and 8th graders Tuesday. Information/Permission Forms were sent home and must be returned in order for your child to attend. Students will be leaving at 8:00 am and will not return until approximately 5:00-5:30 pm. Pre-K Easter field trip to Little People’s Park is still on. They will be leaving the school around 10:30 am and returning between 1:00 & 1:30 pm. We have started this week off with lots of testing in the elementary! Students in 3rd through 6th will be involved in testing throughout the week. Tomorrow, Tuesday, from 4-7 pm is Parent-Teacher conferences. Please call for an appointment if you have not signed up yet! 1st grade teachers are teaming up with Mrs. Gregston for parent night tomorrow night at 6:00pm. 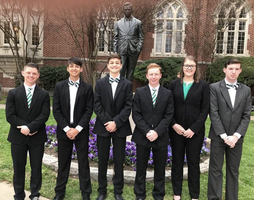 Students and parents should meet in the elementary (old library) for the initial presentation, and then everyone will go outside for the last of the presentation! This will be a must-see, interactive good time!! The Pre-K Easter field trip is scheduled for Wednesday, weather permitting. If we cancel our trip, a message will be sent using this messaging system! We will decide and send the message by 9:00. If you have not returned the summer school application for your child or if you are interested, please call the elementary office! Have a fantastic day! Copyright © 2017 Rattan Public Schools. All rights reserved.